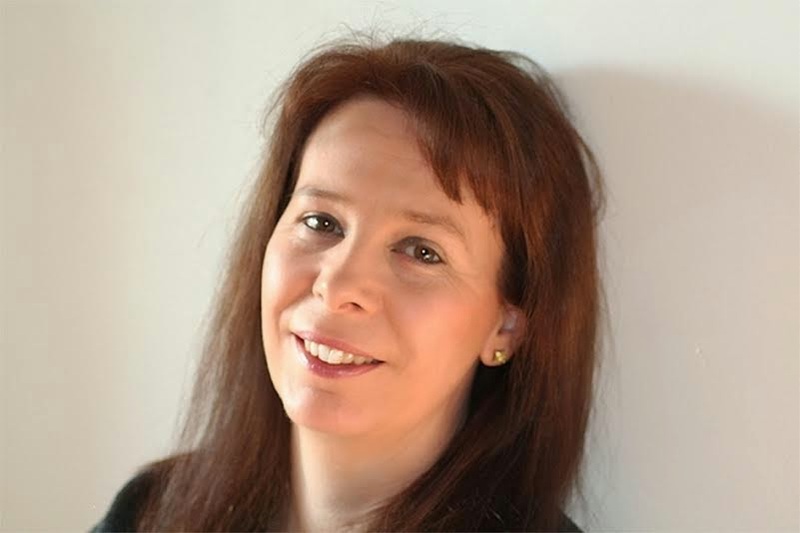 It is my great pleasure to welcome back Helen Grant to Fluttering Butterflies! Helen is no stranger here and it is with excitement that she is here today. Today she's sharing a really fascinating look into some of the locations that inspired her latest book, Urban Legends. Urban Legends is the third and final book in the Forbidden Spaces trilogy and I've loved this trilogy right from the beginning! It's a definite favourite of mine and if you haven't read read Silent Saturday, Demons of Ghent or Urban Legends which will be published officially this week, I really urge you to do so now! Here is the product description for Urban Legends and some links in case you want to know more about Urban Legends, the Forbidden Spaces trilogy or Helen Grant. A group of story-tellers are disappearing one by one. A young woman is haunted by her past. A serial killer has one target he is desperate to hunt down. Veerle is trying to lie low, to live as 'normal' a life as she possibly can. But when you've thwarted a serial killer, it's hard to do this. Especially when he wants revenge . . . Location is very important to me as a writer. I find atmospheric places inspiring, and I try to bring the settings of my books to life by researching all the little details. My books are set in foreign places where I have actually lived: Germany and Flanders (the Dutch speaking part of Belgium). I fell in love with those places when I lived there; I found everything about them fascinating, and I love sharing that experience with readers. For my Forbidden Spaces trilogy I did a lot of location research. The first book, Silent Saturday, opens with a scene in a Flemish bell tower, so I visited several village churches and went up the towers (including one that wasn’t supposed to be open to the public, cough). For Demons of Ghent I spent a week in the city of Ghent, touring all the main sights including the Sint-Baaf cathedral and the Gravensteen castle, both of which appear in the book. It’s very important to me to experience the locations I use myself. I want to see and listen and touch and sometimes smell! You pick up all sorts of details that you would never get from looking at photographs. Often parts of the plot will suggest themselves to me when I am visiting a location. I see the place as being like a stage set, waiting for the action to begin. I like to soak up the atmosphere and imagine what is going to happen. Urban Legends is the final book in the trilogy so I wanted a really amazing finale. I had to find some exciting and unusual locations – not necessarily beautiful ones either, because this is a gritty story. It’s not going to be pretty! The brutal serial killer who calls himself The Hunter is back, and he’s pursuing a personal vendetta against the heroine, Veerle, and her friend Kris. The environment of the book reflects that. We’re done with opulent expat mansions and gorgeous Gothic cathedrals. Urban Legends gets down and dirty in some very nasty places indeed. 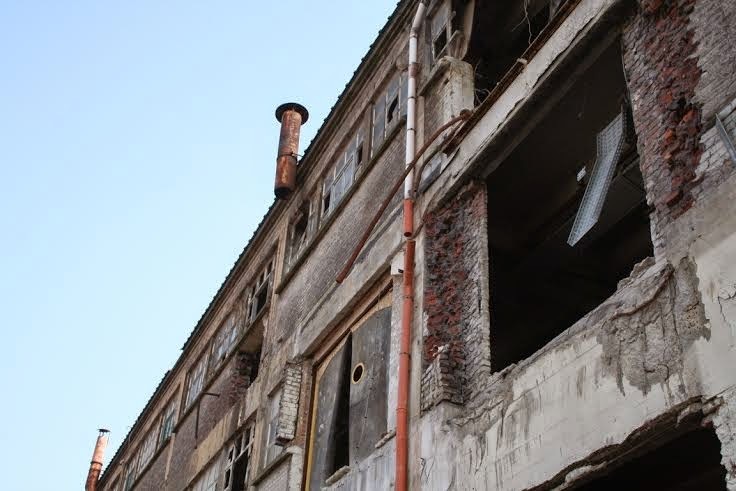 While I was researching for the book, I went out with some experienced urban explorers and visited an abandoned factory that was about to be demolished. That was a fascinating and creepy experience. 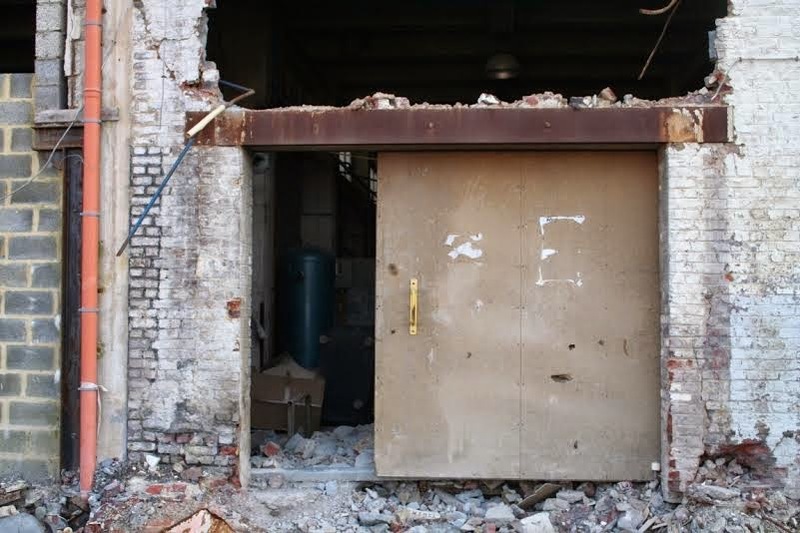 The demolition work had started so the entire side of the building was off; it was like looking into a dolls’ house. There was a lot of rubble outside. The whole area looked like a bomb site; it made me feel as though I were in some kind of apocalyptic movie. We weren't the only ones visiting the place. Now and again we would see shadowy figures flitting around inside, but we didn't talk to them and they didn't approach us. That was quite unsettling. Large parts of the inside of the factory were pretty much as they had been on the day work finished. There were posters on the walls in the workshop areas and soft drink cans and files. Everything was covered with a very fine layer of dust. I think the interesting thing about that visit was that it was so creepy even though it was a relatively modern building and you don’t tend to think of a factory as a scary place. I've used a lot of obviously scary locations in my previous books – old castles, graveyards, ruined houses and stuff like that. You expect your flesh to creep a bit in places like that, but not in a factory. There was a very strong sense of desolation and decay which was strongly in contrast to the practical purpose of the building. 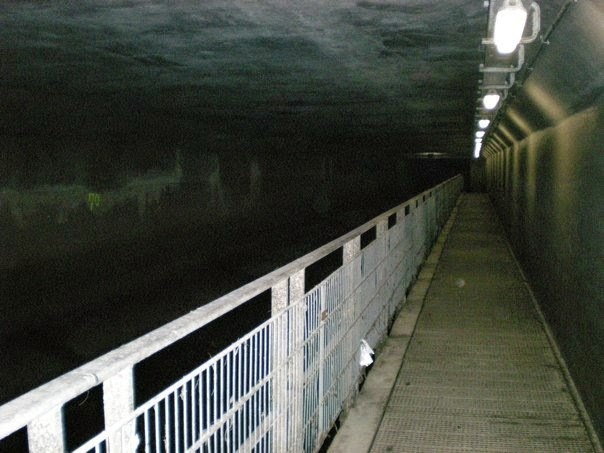 Out of all the places I visited during research for Urban Legends, the other one that really stands out in my mind was the Brussels sewers! I saw them via the Musée des Egouts de Bruxelles (Brussels sewer museum), which is sadly now closed for an indefinite period. The museum is in a part of Brussels called Anderlecht and if you didn’t know it was there, I’m not sure you’d notice it. There’s a big traffic intersection with roads and tram lines crossing it, and on either side of it are two identical buildings in a sort of Roman style with columns on the front. You have to go into one of these and buy a ticket, and there’s an exhibition about sewers and the history of the ones in Brussels. Then you go down into the sewers and when you eventually come up, you’re on the other side of the traffic intersection, in the other building! 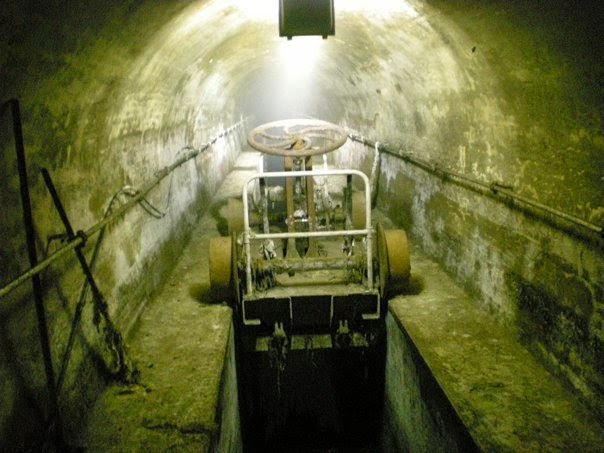 The Brussels sewers come in all shapes and sizes – there is a very big wide channel where the river Senne (which ran through the city) was covered over. You could pretty much sail a boat down that. There are also some much smaller tunnels. A person could walk down those but it would be quite difficult if the water was more than a few inches deep as the bottom is rounded and quite slippery. Helen Grant writes YA contemporary thrillers. She has lived in Germany and Belgium, and her novels to date have been set in those countries. She now lives in Scotland with her husband, two children and two cats, and is working on a new thriller set there. 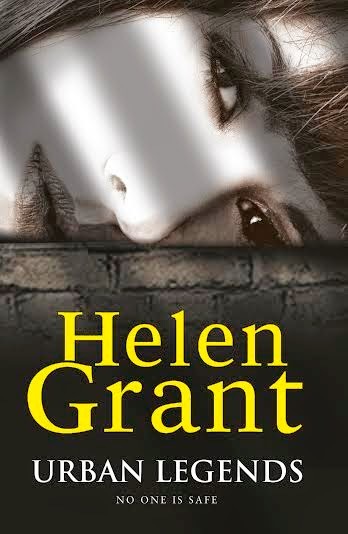 Urban Legends is Helen Grant’s sixth novel and the third in her Forbidden Spaces trilogy. It is published by Corgi (26th March 2015).